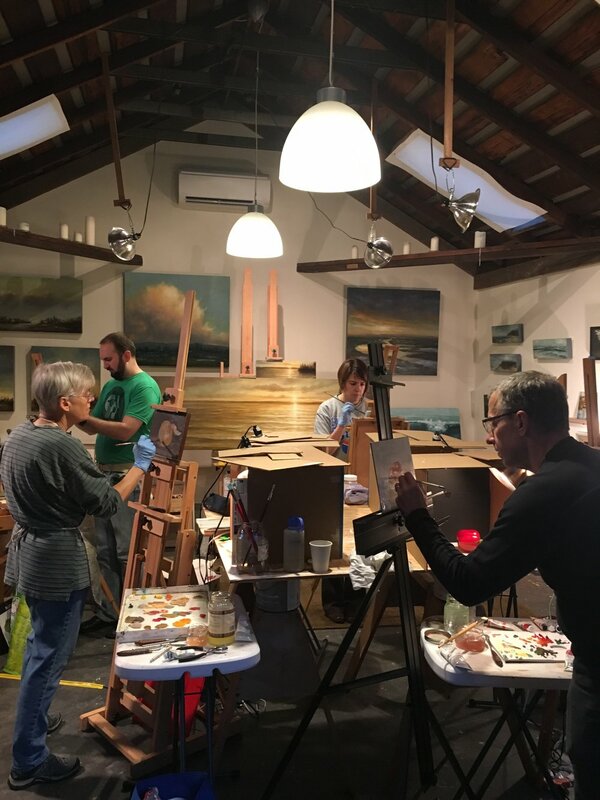 Come and paint for the first time or brush up on your skills in my backyard studio or Manzanita. Small classes allow for individualized attention. I meet you where you're at in your skill level and interests. Focusing on color, light and composition- you will learn color mixing, the value of value and most importantly, the joy of painting. My goal is for you to leave with improved oil painting skills, a better sense of color and an enhanced appreciation for light and shadow. My background: I have worked with color both as a fine artist and as a professional color designer for an eco-paint company. 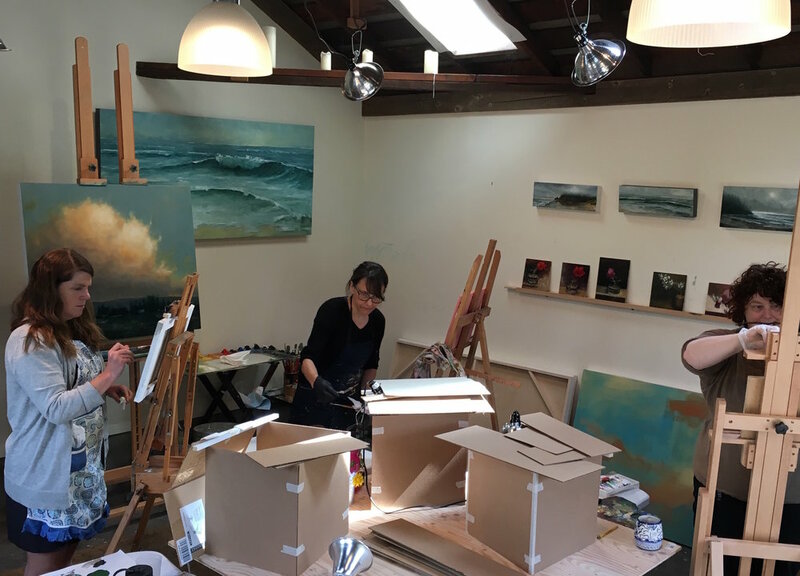 After founding YOLO Colorhouse, I am back to painting and teaching workshops. 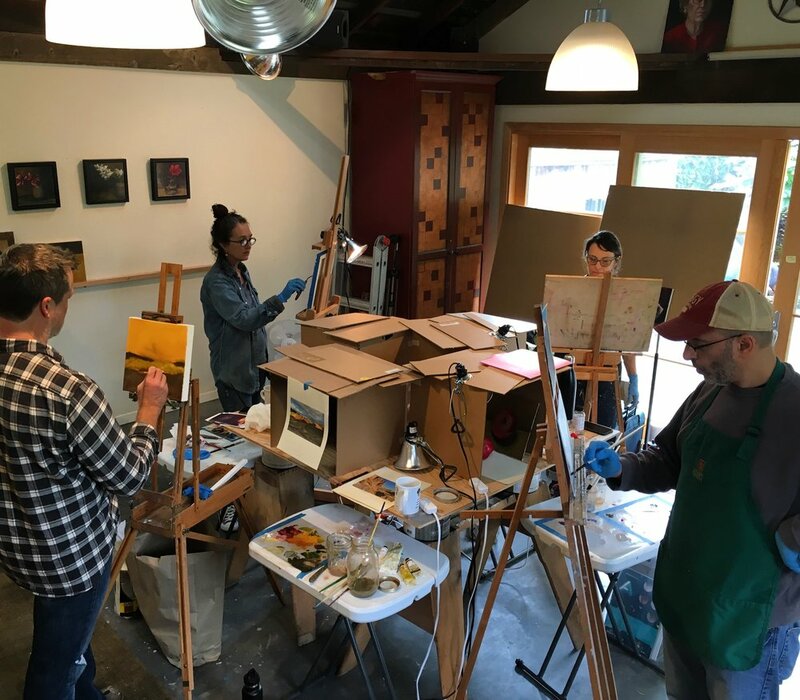 An MFA graduate from the School of Visual Arts and former instructor at Marylhurst University and PNCA summer program, I approach teaching with optimism and encouragement. Painting can be intimidating, I want students to find the joy I have found in color and light. accepting date proposals- let me know what works for you! Come and paint at the beautiful Oregon coast! 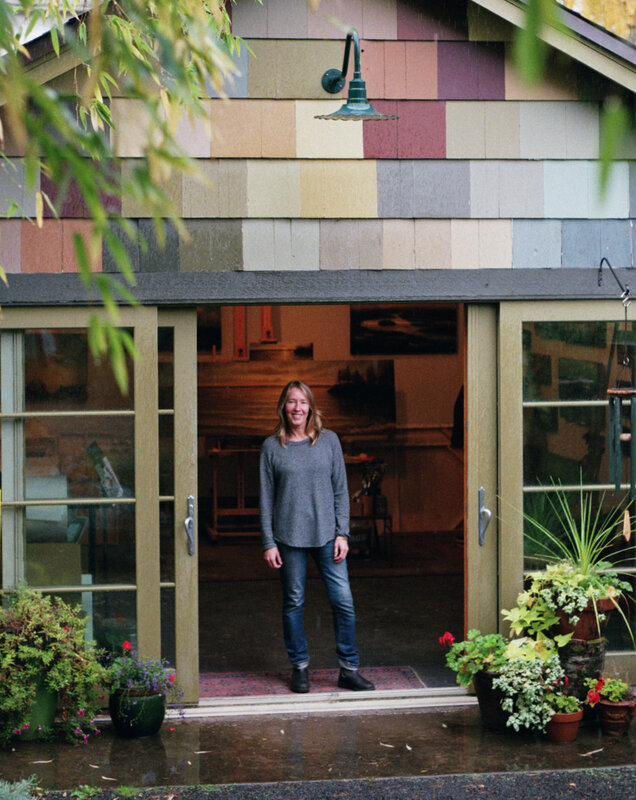 We have remodeled the garage behind our Manzanita cabin into a painting studio with gorgeous light. We will start each morning with a walk on the beach, then settle into the studio for a morning session. After a lunch break, we'll head back into the studio for a few more hours and the rest of the day is yours to explore the area - hike, surf, kayak, go crabbing, or hang out and paint. 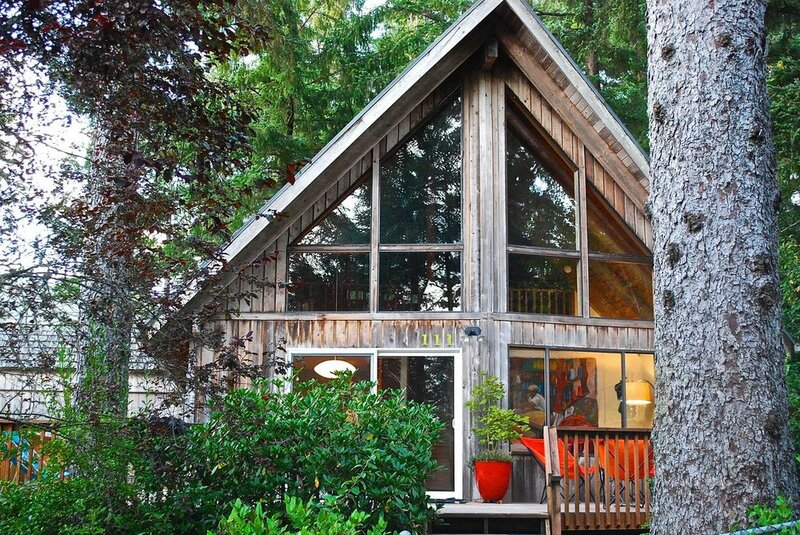 Our "Mountain Cabin at the Coast" is in front of the studio and sleeps 6 people. 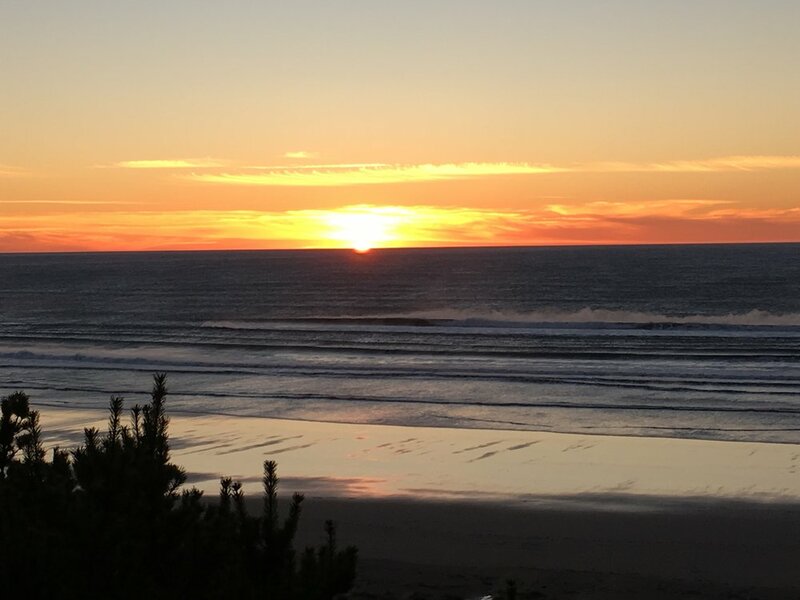 Get a group of friends together, rent the cabin for yourself, or stay in one of many rentals in Manzanita (I can help you with accommodations). Sign up below for this workshop or if you are interested in future workshops.